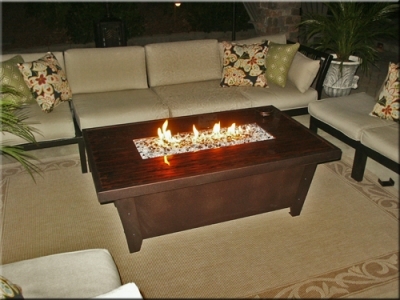 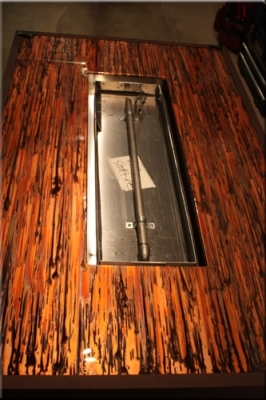 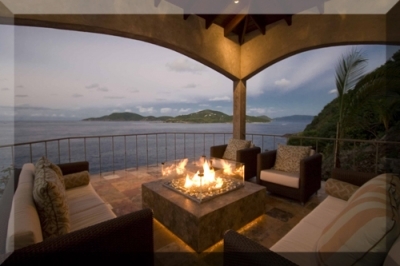 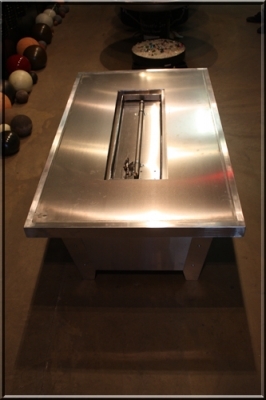 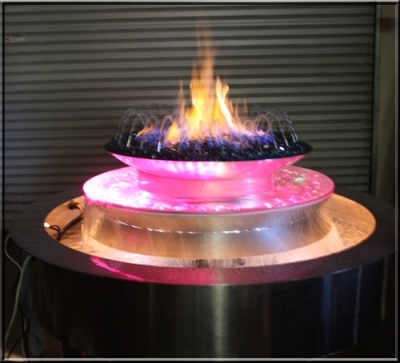 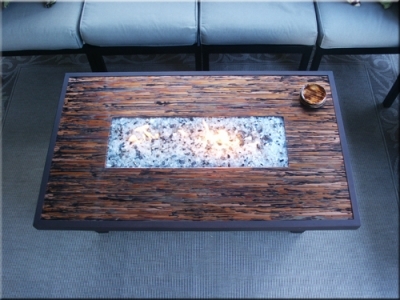 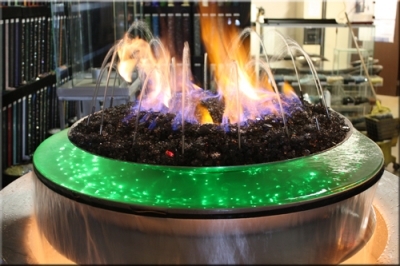 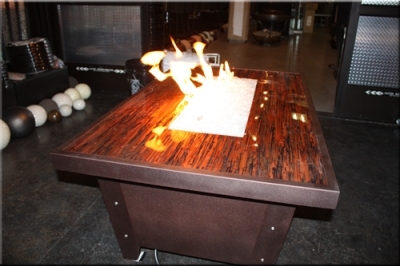 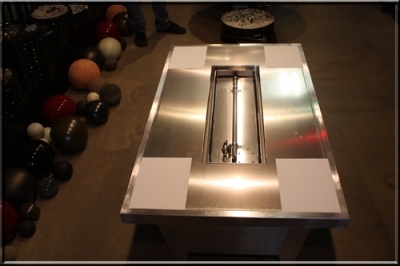 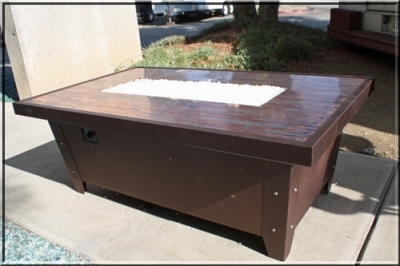 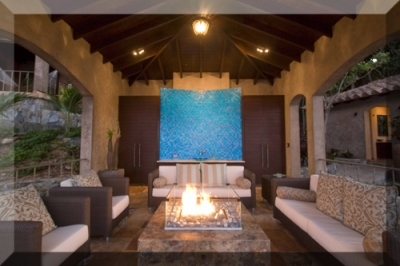 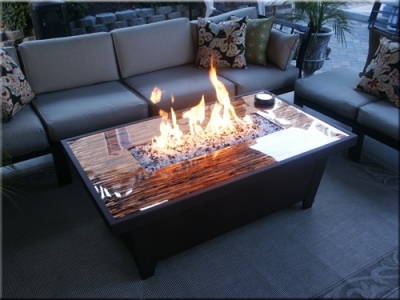 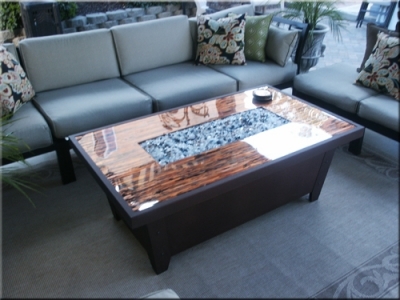 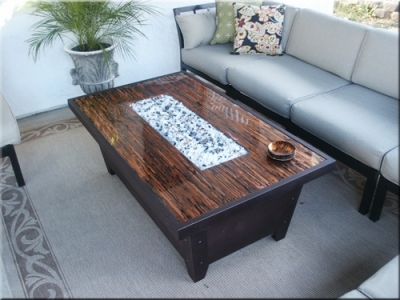 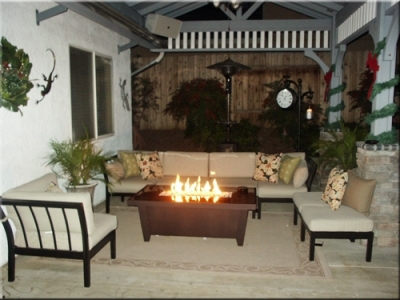 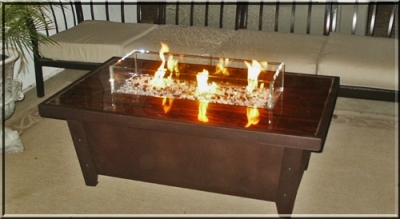 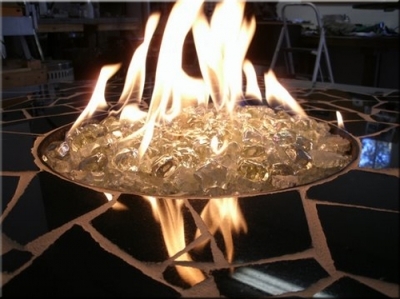 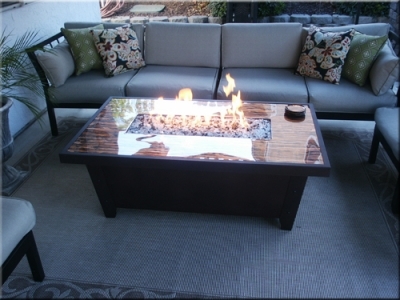 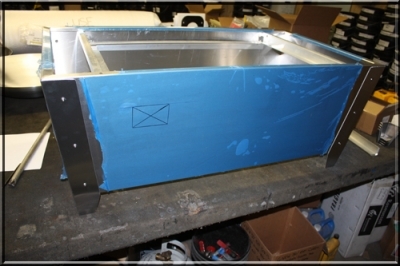 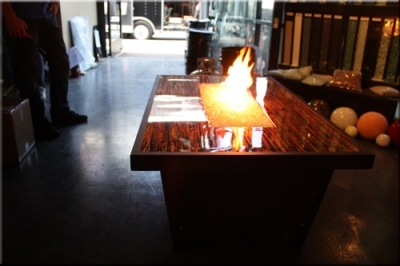 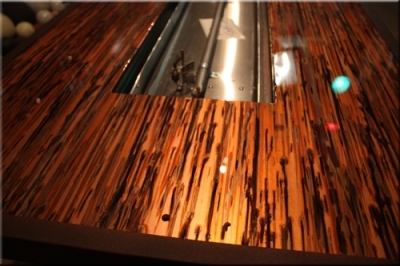 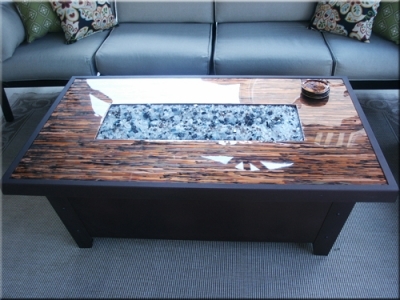 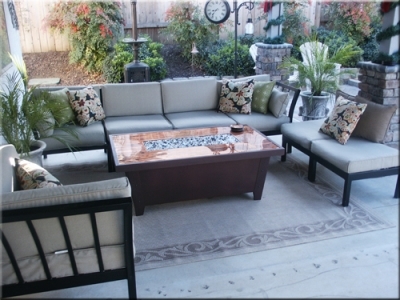 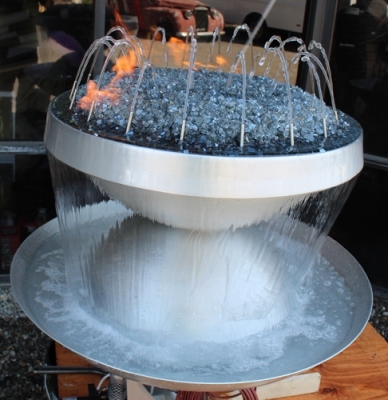 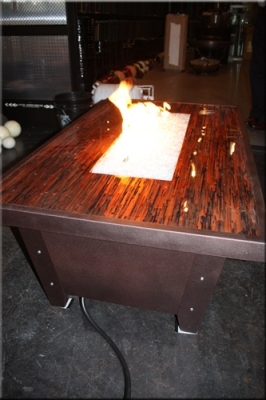 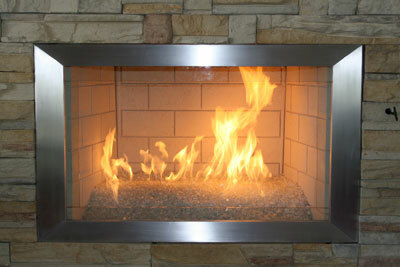 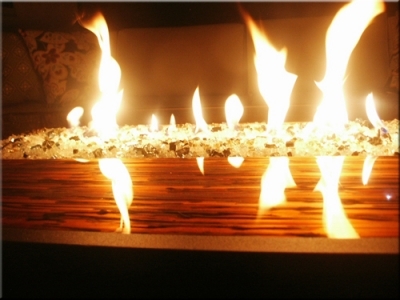 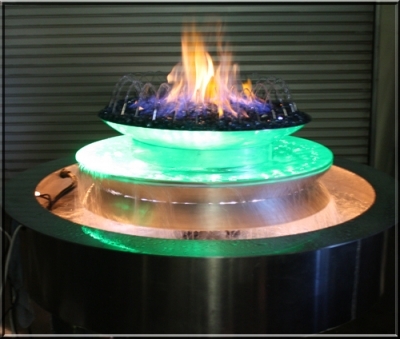 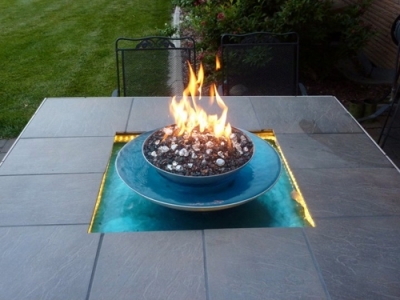 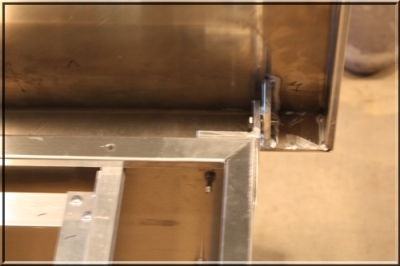 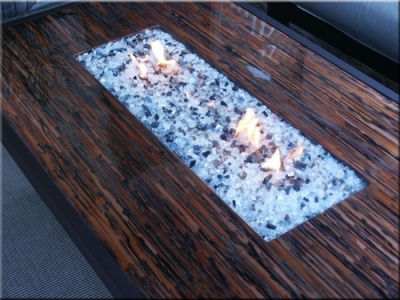 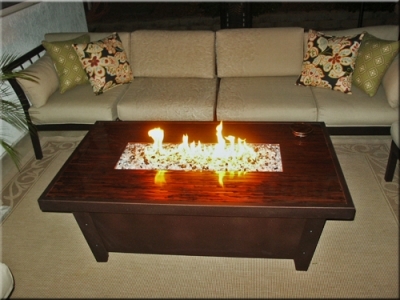 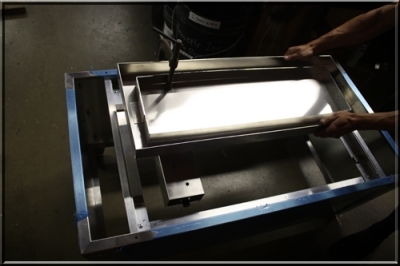 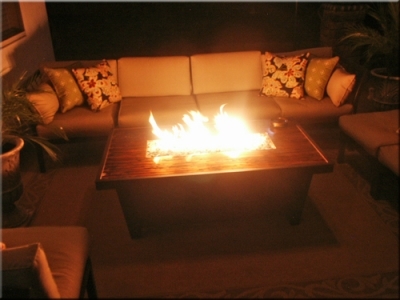 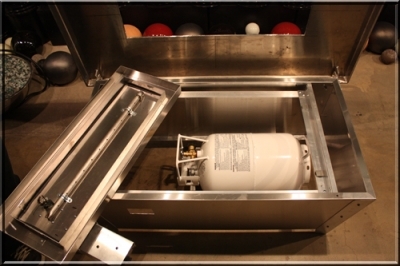 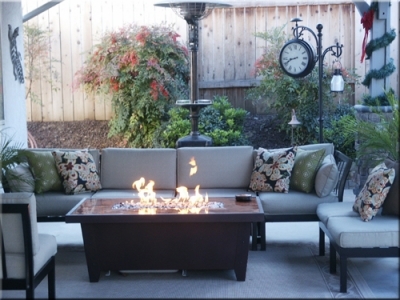 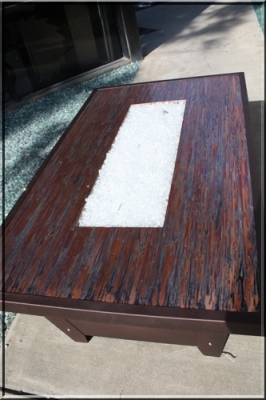 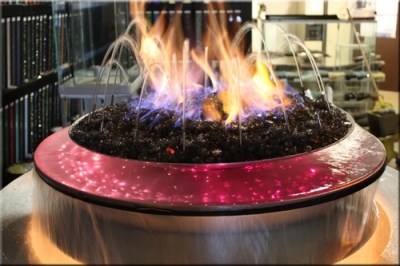 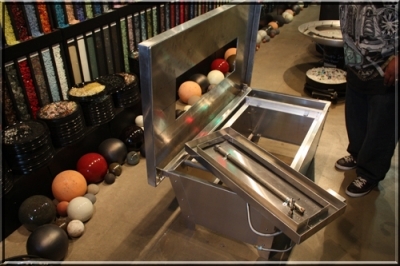 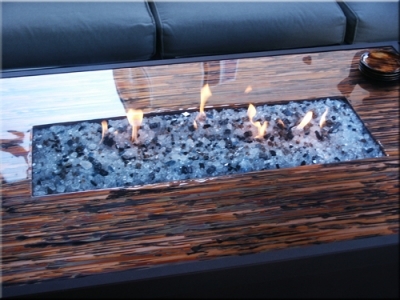 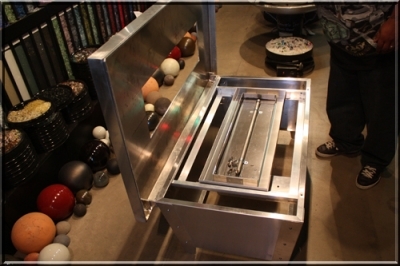 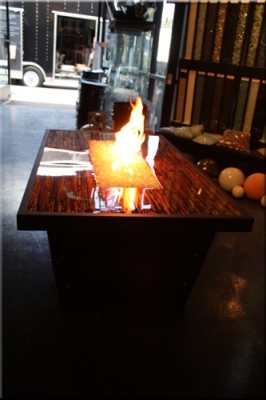 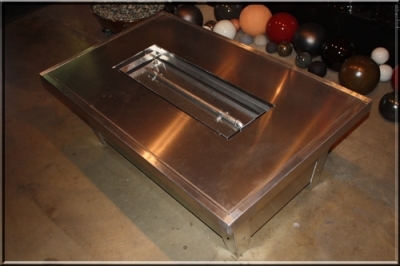 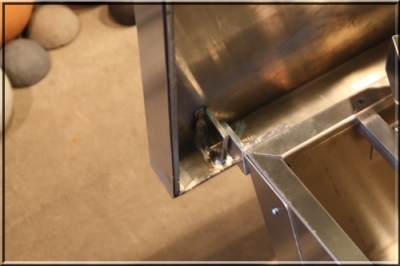 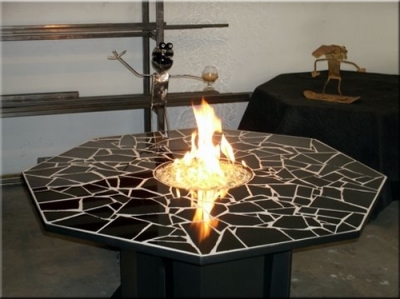 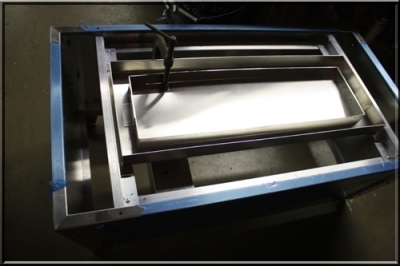 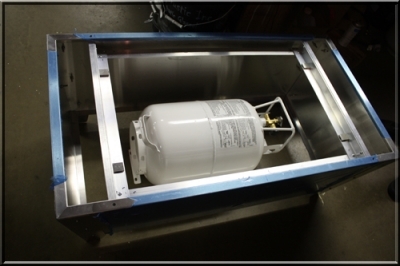 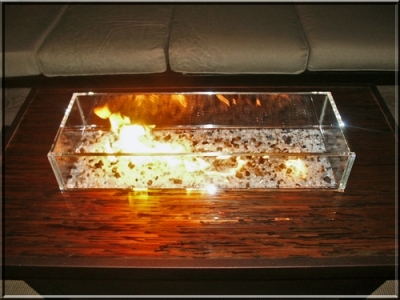 Custom fire and water fountains m Custom fire tables Outdoor propane fire tables and pits. 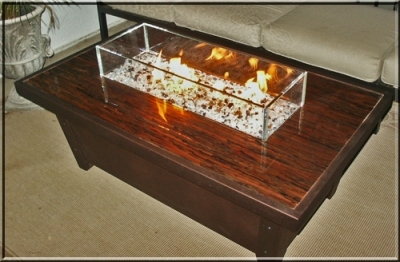 Where very proud of our "Little Fire Table" and Dave Little was just as thrilled when he received it. 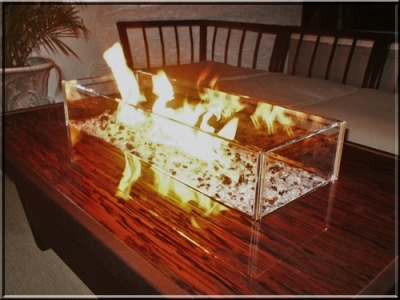 Lastly to assure a consistent, undisturbed burn pattern; Dave asked us to create a glass encasing. 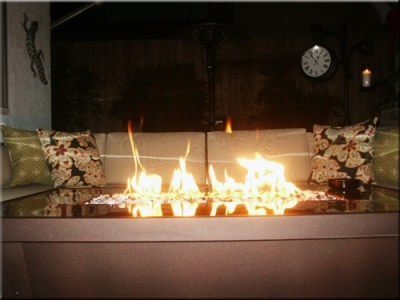 Effectively blocking the winds, while still able to enjoy the flames beauty.